Make your meals more exotic and delicious with appealing dining sets! Pho anyone? If you had mentioned this food type to friends just a few years ago, you probably would have been met with puzzled stares. These days though, your friends are likely to enthusiastically agree to a meal of Vietnamese noodle soup – but only if you stop for vegan doughnuts afterwards! As the borders between countries have been lowered thanks to the internet, our palates have expanded too. You can now choose between dozens of Pho restaurants in Australia, as well as many more Australian vegan bakeries. Social media is greatly responsible for our desire to eat more exotic food. Food bloggers such as ‘GirlEatWorld’ travel the world and get paid to post delicious images of unusual meals carefully arranged on exotic dining sets. While time and money prevents the average Australian from quitting their job and doing the same, it doesn’t mean that they can’t try bring a little of the exotic into their homes. Google’s latest Food Trends Report shows that people are “Traveling Through Taste” – in other words, enjoying exotic meals from the comfort of their own dining rooms. And now with the rise of food blogging and more and more ethnic ingredients becoming available for purchase in Australia, this is becoming easier than ever before. When it comes to exotic dining, it’s only fitting that the backdrop to your mouth-watering cooking allows the food to shine. This is where your dining room furniture comes into play. Whether one plans on entertaining a crowd or enjoying an intimate meal for two, an attractive and unassuming dining set creates the scene for the meal to come. 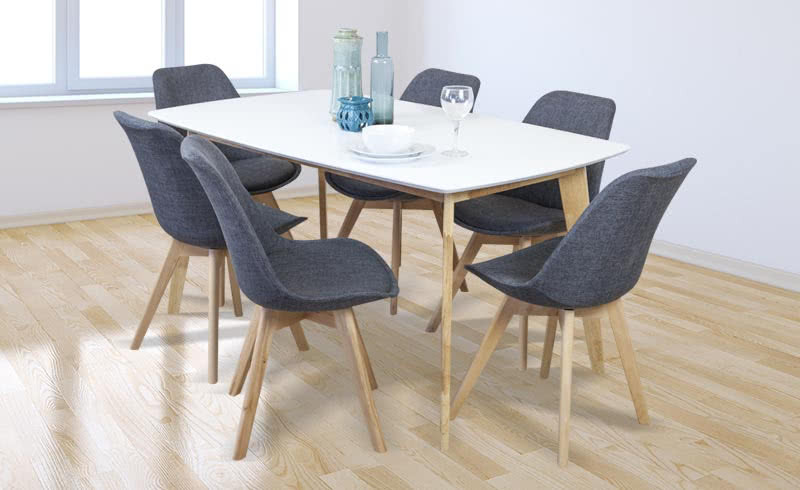 Some popular dining room furniture choices in Australia include the classics, ranging from solid New Zealand pine in a rough sawn period style to contemporary acacia timber with brushed metal corners. Two very different styles, however both are neutral and allow for the perfect dining set backdrop for entertaining with unfamiliar foods. Seeking an affordable dining room set can be a chore, unless you know where to look. Furniture Galore is the best place in Australia to find a dining or buffet set that fits in with your lifestyle. At Furniture Galore, you can get anything from affordable alpine 9 piece dining room sets to an alpine buffet and hutch. Whether you’re planning on preparing empanadas or mochi ice cream, make sure you’ve got a dining room set that allows your food to shine. Contact Furniture Galore today to find one.